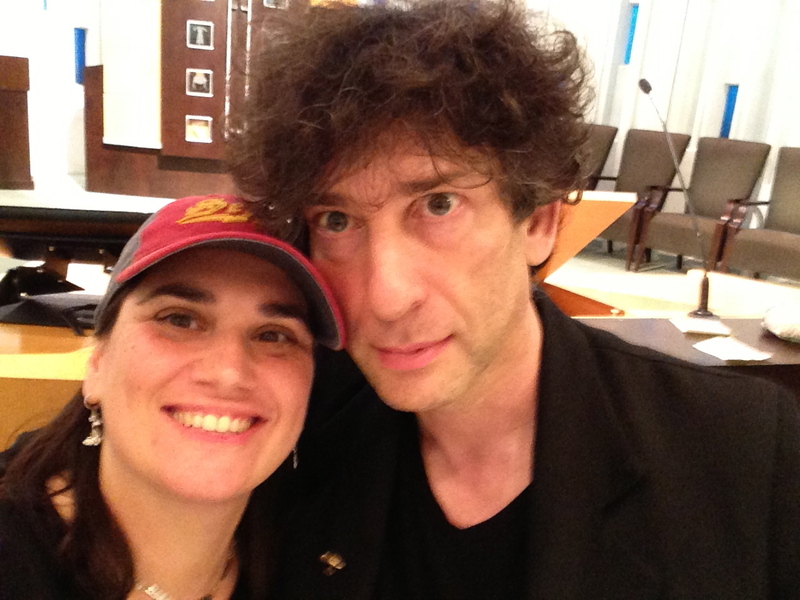 I came to Neil Gaiman in a backwards sort of way. A student of mine, Alex, brought American Gods into class and told me that I had to read it. I, of course, took the book, thanked him, and proceeded to NOT read it. It sat on my bookshelf. He asked me numerous times and each time I said that I hadn’t gotten around to it. I might have lied at some point and said I had started it, but the truth was, no. It was still there on my shelf. Alex eventually graduated and the book collected dust for two more years. And then The Graveyard Book came out. It sounded cool, and so I bought it and read it in one night. I loved it. I loved it so much that I convinced my ninth grade English class that they should read it as well. 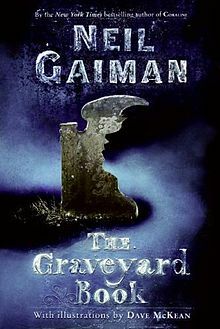 Of course, if you read The Graveyard Book, you’re going to want to read more of Neil Gaiman’s work. And lucky for me, there, on my bookshelf, was Alex’s American Gods book. Almost three years after it was given to me, I finally read it. And I was hooked. Here’s the thing about Neil Gaiman. If you follow him on Twitter, if you read his blog, if you “Like” him on Facebook, you fall into this bizarre comfort zone. You feel like he’s your friend. He’s approachable. He’s actually talking to you. My relationship with Neil, one sided as it was, grew over the years. So when I had the chance to work at one of his book signings and meet the man who I had followed for years, I jumped at the chance. I also readied myself. I knew that my perception of my relationship with Neil Gaiman went as far as me reading his tweets and updates. While he had a tremendous effect on me and my writing, it didn’t work both ways. I knew there would not be this instant friendship, this camaraderie born of tweets and random likes. So going in, I was prepared (see previous blog post for details on that). But here’s what I wasn’t prepared for. But later, as he signed over 800 books for fans that stood in line for hours, I was able to sit a few feet away from him and sort of watch the interactions. 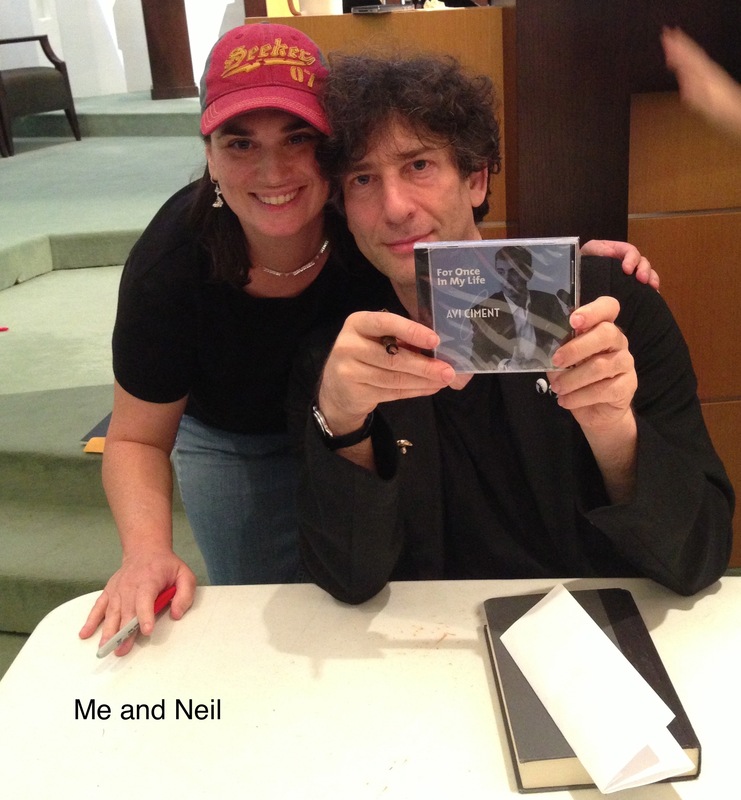 If you haven’t met Neil Gaiman fans, you need to know that they are really dedicated. Insanely dedicated. Tatt0os and paintings, and naming-their-children-for-characters-he-created dedicated. I am definitely not in their league. I was able to talk to many of them and created my own little psychological analyses of them. I would look at their clothes and who they were with and could guess what they brought for him to sign. I knew who the Sandman people were, the American Gods people, the Blueberry Girl types, and the Graveyard Bookers. Some were a bit scary, true, but everyone was there, waiting for hours, to get some sort of connection to Neil Gaiman. 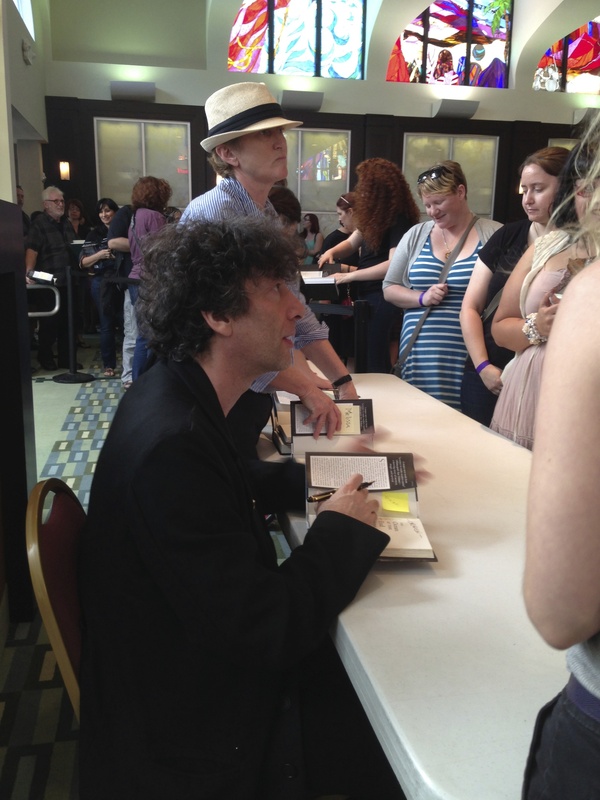 And, incredibly, as he signed each book that was passed in front of him, I noticed that Gaiman made it a point to look each and every fan right in the eye. He gave them that moment of complete connection that they were looking for. Even if it was for a second, even if he looked back at the book, he made sure that every single fan got that contact that they were looking for. They felt like they connected. I watched this from my vantage point three feet away (at that point I was directing fans to the way out) and I realized that the original connection I felt to Neil Gaiman was not just a clever internet marketing trick. He actually believed it. Far from being this arrogant bestseller writing from his ivory tower, he was right there, with the fans, saying,”Thank you,” and “It’s nice to meet you,” and “Yes, please tell me about your dog,” and “Wow, what a beautiful gift – my portrait made of pasta and jelly beans.” It’s why he stays, no matter how long, until the last fan leaves. I spent eight hours working at the event and eventually got to talk to him at the end. He read a letter I brought him from my husband and took pictures. He signed my books and my daughter’s Coraline doll. Our straight-up interaction was only a few minutes but I didn’t leave disappointed. I left remarkably contented and happy. After all, it was like saying hi to an old friend. Definitely! Go pick up American Gods. You’ll love it. :-)Thanks for stopping by! Neil IS your friend even if you’ve never met him! Love the post!